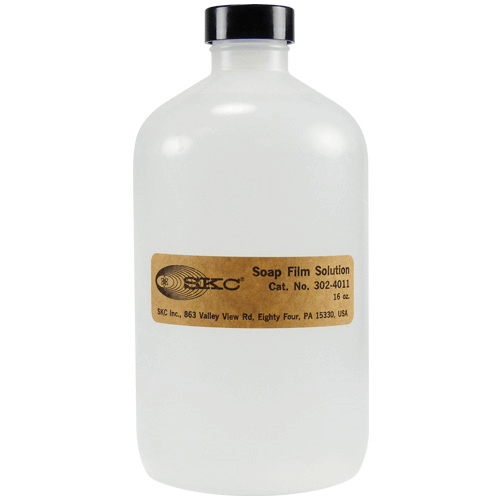 Bubble Film Calibrators, also known as soap film flowmeters, are used to accurately calibrate air samplers. 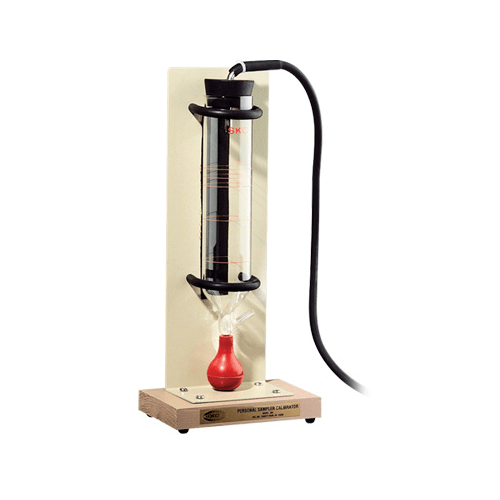 With a film flowmeter, flow rates are based upon the inherent, unchanging properties of the measuring apparatus. 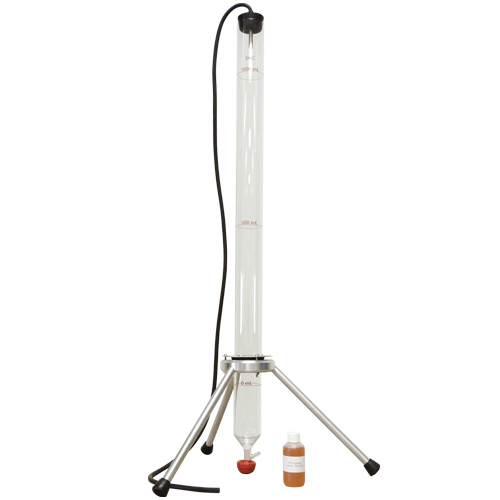 The sampling pump to be calibrated is attached to the top of a volumetric glass tube containing a small amount of liquid soap. As the pump draws air through the tube, a flat soap bubble is interposed in the flow path. While the air flow causes the soap film to move from one volume mark to another, the travel time is measured with a stopwatch. The flow rate can then be directly calculated using the travel time and the known tube volume, or it can be read from the flow chart. The test is quick and easy to perform. The Flowmeter Kits are calibrated to a primary standard, ±2% of the volumes marked on the flowmeter.